Once you’ve seen Marienplatz and explored the Englisch Garten, you’ve seen everything Munich has to offer right? Actually, you’re just getting started! There’s so much to see and do in Germany’s third city. From German ceilidhs to chill BBQs, here’s our guide on how to step off the beaten path, do as the locals do, and gain a better appreciation for Bavaria’s picturesque capital. 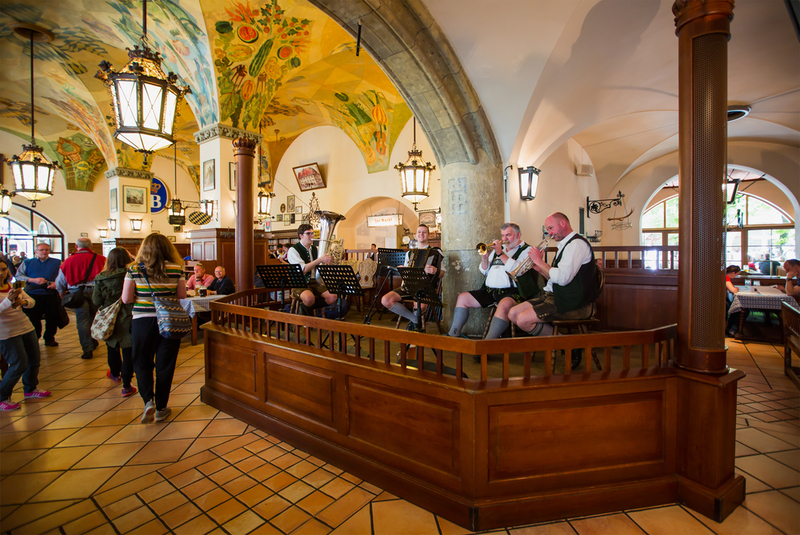 Just add lederhosen to to a Gaelic ceilidh and you have Tanzboden, complete with traditional Bavarian dancing accompanied by a live band and a dance master calling out the steps during the songs. Tanzboden happens just four times a year in a room on the second floor of the famous Hofbräuhaus. Tickets are €10 (£8.55/$10.70), and decent German skills are a must to keep up! 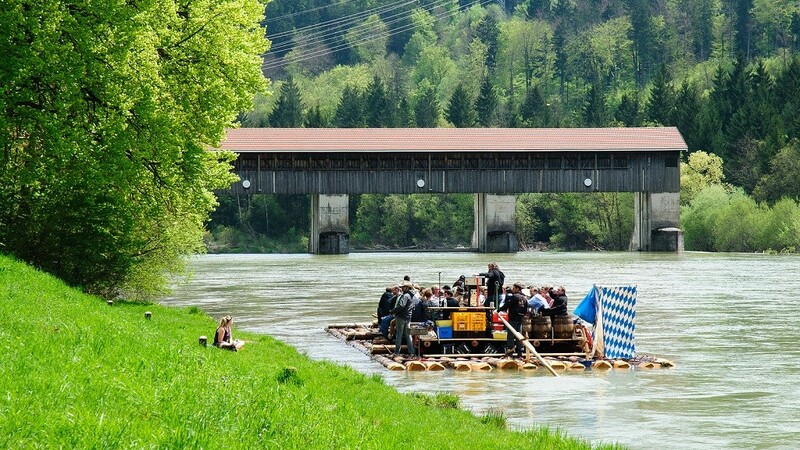 Mingle with locals to the sound of traditional Bavarian music while enjoying a beer and floating down the Isar river on a giant raft. This might sound slow, but these rafts actually pick up a fair speed. Float season is April to November, and as with all German beer-drinking sessions, it’s accompanied by traditional food – maybe even a BBQ if the weather is good. Get a big group together, or turn up on your own and make new friends! 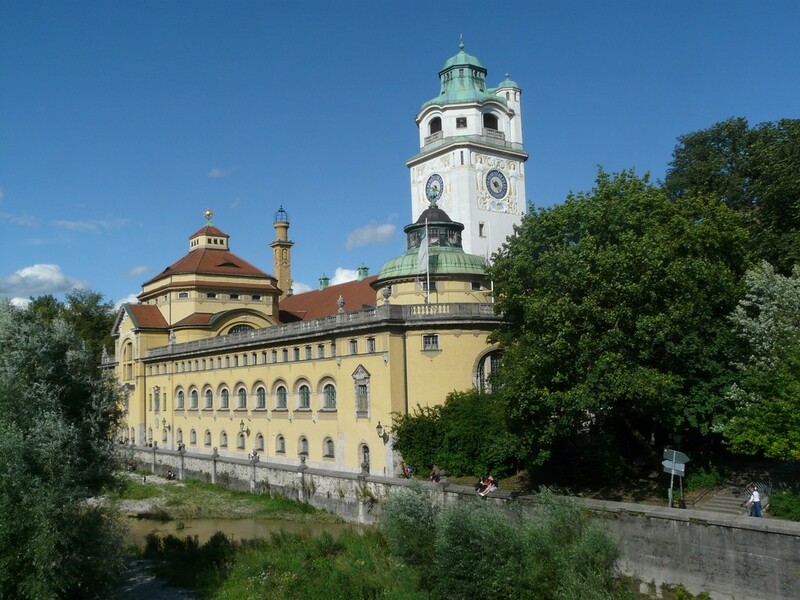 A swimming pool might not sound like much of a destination, but this beautiful Art Nouveau building on the banks of the Isar shouldn’t be missed. Müller´sches Volksbad has been a public pool since it opened in 1901, and taking a dip today still costs only €4.40 (£3.75/$4.70). Inside is also a Roman steam bath and a Finnish-style sauna with colourful lighting. You’ll need to make like a Münchener, though, and leave the bathing suit at the door – saunas are an important part of German culture, and in most saunas, swimwear is actually banned. There’s one corner of Munich that’s been doing the time warp for a very long time: the Museum Lichtspiele cinema has been playing The Rocky Horror Picture Show every Friday and Saturday night at 11pm for 30 years and counting. The cinema itself has been going since 1910, and the iconic movie has been on the programme since 1977 (40 years this summer). As always with Rocky Horror shows, costumes are more than welcome. Want to discover the cheapest draft beer in the city? Despite being next to one of the main tourist attractions in Munich, Bratwurst Glöckl am Dom takes some finding: Ignore the main restaurant, and walk around the left of the building into an alley to an innocuous door; inside is a vestibule that holds about eight people. Crouch a little to a frosted glass window with a rope next to it; pull the rope and hear a bell ring followed by a gruff ‘Yaw wos?’ – brusque Bavarian for ‘Good evening, how may I help?’ Order a beer from the selection on the board, and get to know the regulars in the vestibule. Germans are not afraid to bare all. In fact, Munich has six ‘designated urban naked zones’. 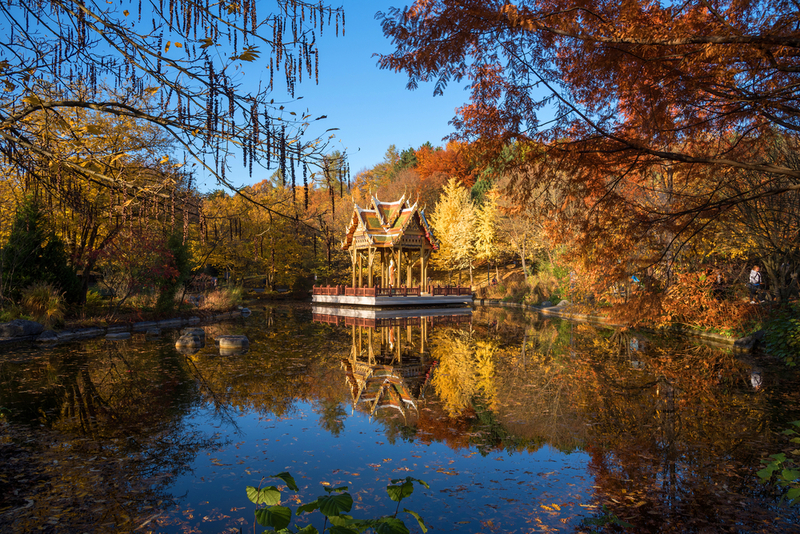 Don’t think these are tucked away somewhere or fenced off – take the wrong turn in the English Garden or along the Isar, and you’ll see a whole lot more of Germany. There aren’t many cities in the world where you can go au naturel. Forget Hofbräuhaus and Hirschgarten – head to a beer garden that’s off the beaten path to see Munich at its most relaxed. At Waldwirtschaft in the south Munich suburbs, grab a beer and some snacks from the traditional food stalls, and sit back and listen to the live jazz bands on the weekend. If the weather’s no good, try Augustiner Bräustuben for great value food and drinks in a traditional beer hall atmosphere. If there’s no rush to see Munich, spend an afternoon relaxing by a lake. Just 36 minutes on the S-Bahn from Marienplatz will take you to Lake Starnberg – Germany’s fifth largest freshwater lake. 25 kilometres (15.5 miles) from the centre, it feels like another world. Starnberg even gets a mention in T.S. Elliot’s 1922 poem, The Waste Land. Not inspired to pen a poem? Simply take lakeside a stroll, sunbathe and admire the view. Head to the Universität district to Lost Weekend, a bookstore and vegan coffee shop by day that comes alive at night with poetry slams, open mic comedy and Munich Sessions, a live music event that introduces crowds to both signed and unsigned artists at its easygoing evenings. The line-ups are both local and international – handy for German language beginners – and vary from mellow acoustic guitarists to upbeat funk band. Munich Sessions takes places twice a month. 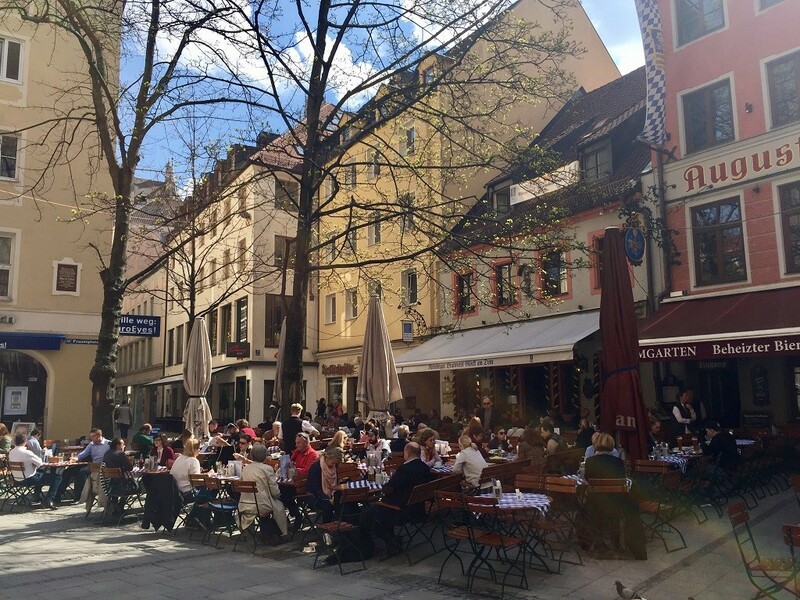 Müncheners love being outdoors, especially at mealtimes. As soon as the first few rays of sun hit the city, people dust off their grills and head to the Isar. Avoid the crowds by heading to one of the parks with a designated BBQ area, like West Park in southwest Munich, about 10 minutes on the U-Bahn from Marienplatz. West Park also has a Japanese garden, a Thai temple, and even an outdoor cinema in the summer.